I am going to start with a story of my past.. it is a story that pulls on my heartstrings and I hope that you will know that because of my experiences, my LOVE for photography has become my biggest PASSION! 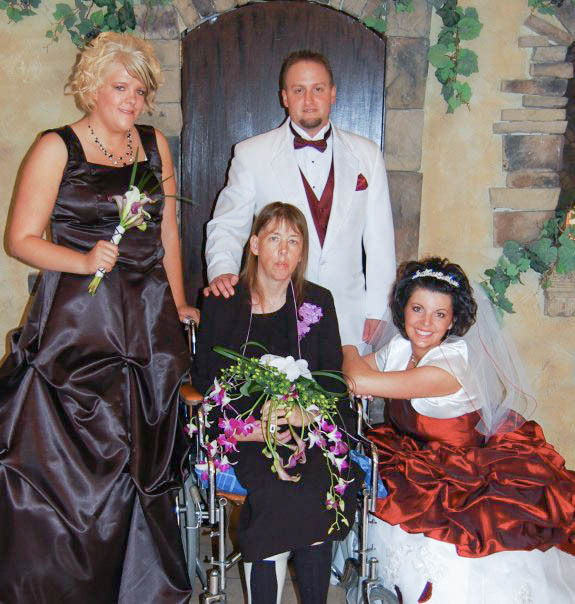 You couldn’t tell by just looking at this picture.. but my mother could barely speak or has nearly no recollection of this Special Day in her oldest daughter’s life because she was suffering with a Brain Bleed that no one was aware of at the time. In fact shortly after this photo my Grandparents took my mother and left the Wedding, even before the Reception had started so that they could take her to the hospital to find out what was going on. My Wedding day was not the “Picture Perfect” day that we all imagine in our “Wedding Dreams”… BUT this Picture is Perfect to me because it (and all the rest my beautiful Aunt took) are the only memories my Mother or my Father (Who was also not able to attend) have of my Wedding Day! Do we all complain about how we look in pictures?? Yes… But have you ever looked at pictures of your Family, or your Child, or your Parents, or Grandparents and thought… “Man I wish they wouldn’t have taken that picture…” Nope! In fact for most of us those pictures of our families are treasures worth more than any Money!! So now you know A very little Glimpse into why I LOVE Photography and why I want to help you capture and retain these wonderful memories in your life. PS- I am known to many of my Friends and Family as the 100%er with OCD tendencies 🙂 Which means your ending picture results will be something you will be PROUD to display on your Wall!